Obtained from the elder tree (Sambucus nigra), elderberries are dark, plum-colored fruit. These berries are accepted therapeutic herbs and have long been used in folk medicines. Their benefits are being rediscovered by researchers who claim that elderberry juice is highly beneficial for the support of a number of systems in the body. Its cleansing powers have been attributed to its rich content of vitamin C, flavonoids, and anthocyanins. However, the vitamin C is vulnerable and is only super-rich in the fresh berries and freshly extracted juice. In ElderClenz that vitamin C content is fortified with wild, raw camu camu extract, the only such extract available. ElderClenz supports the body’s healthy response to congestion. * Elderberries have been used historically for supporting whole body respiratory health and have been found to be highly soothing to the mucous membranes of the lungs, throat, and sinuses. * In a number of studies elderberry has been shown to neutralize the enzyme neuraminidase, which aids the viruses in damaging and entering the mucous membranes. Both elderberry and camu camu have strong actions for supporting the respiratory system and its mucous membranes,* which makes ElderClenz and its five raw fruit extracts a powerful, whole-body cleanser. ElderClenz also contains two unique, wild, organic Peruvian extracts: Peruvian aguaymanto (goldenberry) and Peruvian maracuya (passion fruit). Natural astringents and cleansing agents, these wild extracts boost elderberry’s powers for whole body detoxification. These wild extracts activate the body’s cellular powers for supporting a healthy natural immune response. * Finally, wild, raw high bush Canadian cranberry extract is added to boost cleansing powers through the urine system. 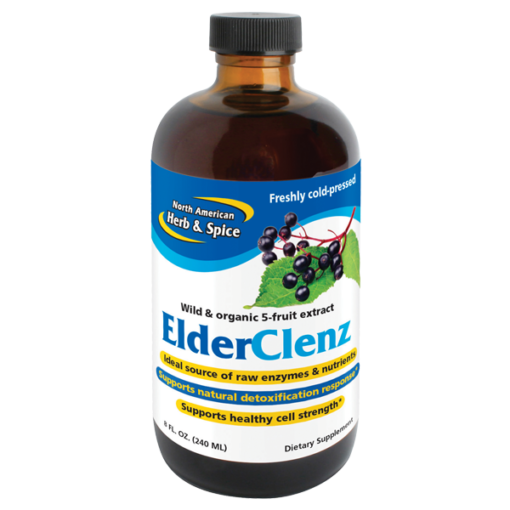 The natural astringents in ElderClenz support and soothe the throat, which helps to alleviate coughing, while supporting healthy mucous membrane secretions. * The astringents also support the body’s cleansing* through the pores and help dissipate excessive heat. 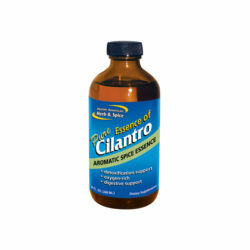 Additionally, the astringents in ElderClenz support blood vessel health as well as the overall health of the skin. 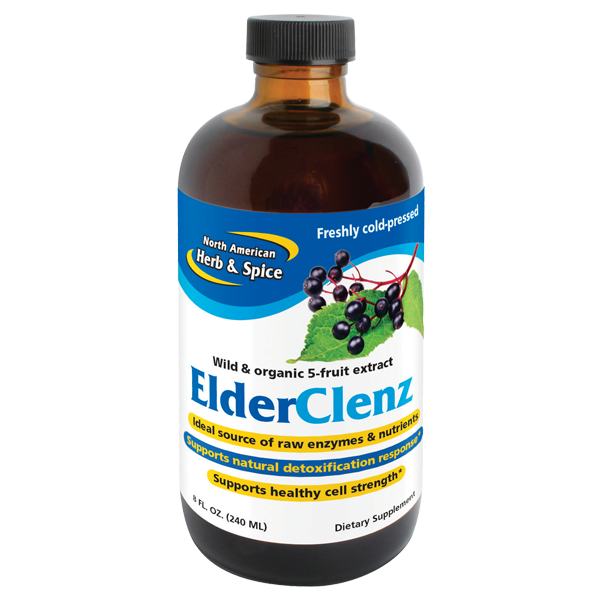 There is no other elderberry extract like ElderClenz, packed with the powers of five wild and organically raised berry extracts. 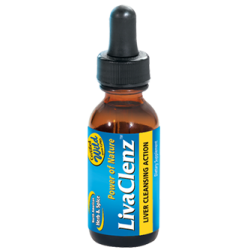 LivaClenz – 1 FL. OZ. Essence of Pure Cilantro – 8 FL. OZ.